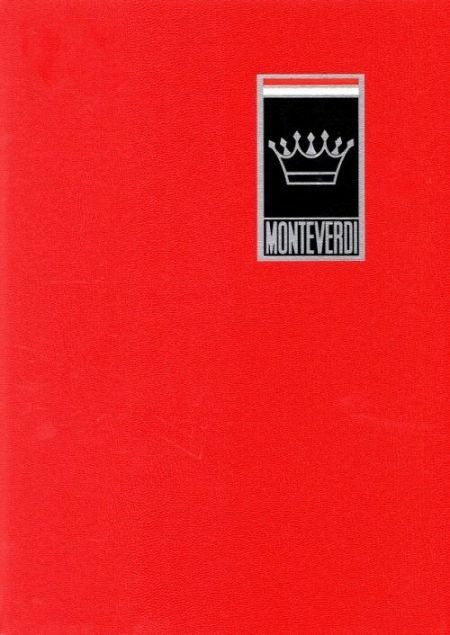 (German) Monteverdi: History of a Swiss Marque is the second edition of the only book on the history of this interesting Swiss marque. 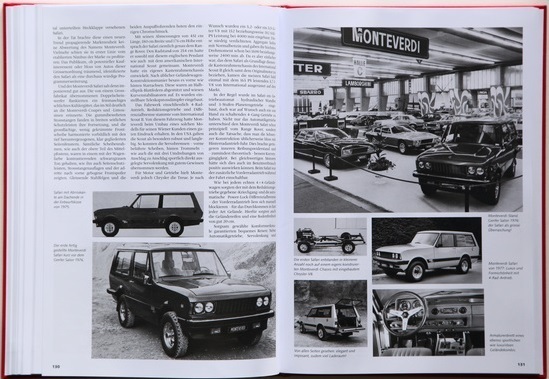 The first edition published in 1980 (under a slightly different title: Monteverdi, Werdegang einer Schweizer Automarke and in landscape format) has been sold out for a long time and is rarely available on the secondary market. 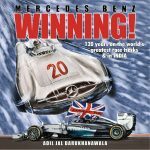 The new edition was written by the same two authors—both are well known, competent automotive journalists—and they have only slightly modified the original text. 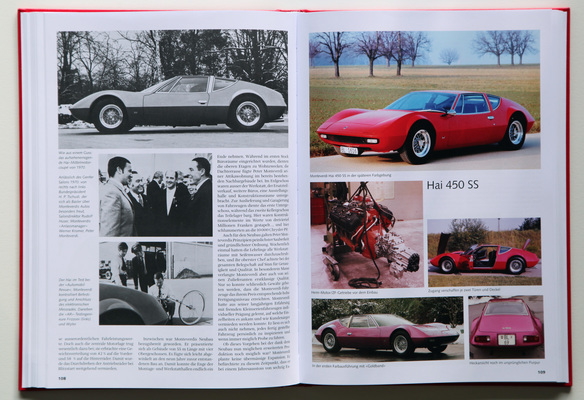 In addition to its modern size and layout, they have added a substantial number of illustrations, interesting new information come to light since 1980, and excellent lists of all Monteverdi cars with technical data and production details. Peter Monteverdi (b. 1934) was an outstanding personality. The biography begins with his youth as the son of the owner of a humble repair shop, his education and professional formation, and his dreams and ambitions. Even before he obtained his driver’s license he had built his first sports car, the Monteverdi Special with a modified Fiat engine. In 1957 he not only obtained his international license as a racing car driver, but he also met Enzo Ferrari, which led to a dealership agency. He won various top spots in races on circuits and hillclimbs in Italy, France, Germany, Austria, and Switzerland. 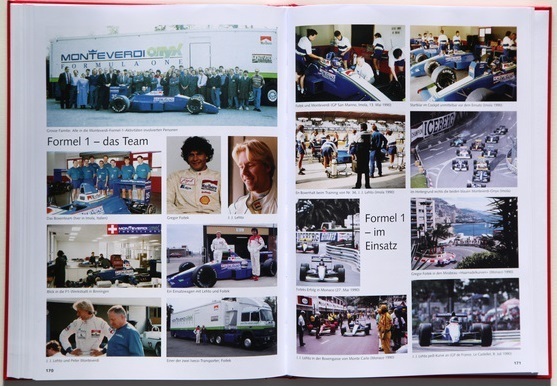 Three years later he started on his own MBM-racing cars Formula Junior and Formula 1. 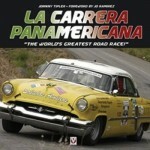 In 1961 he suffered a serious accident with his F1 car on the Hockenheimring in Germany and gave up racing completely. When Monteverdi lost his Ferrari agency in 1965—which he had held for part of Switzerland for nine years—he decided to build his own luxury sports cars. His first production sports car was launched at the Frankfurt Auto Show in 1967. The Monteverdi 375S had a box chassis with De Dion axle, Chrysler engine of 380 SAE-hp, and an elegant two-seater body by Frua of Italy. After a dozen cars Monteverdi decided to have Fissore, another Italian coachbuilder with a higher capacity, produce the various bodies for the fast touring cars. While these powerful and fast coupés and convertibles were admired and enthusiastically described in the press, production remained limited to a total of about 200 in the following years. With the new fashion of 4-wheel-driven cross country cars, Monteverdi switched to this type of utility vehicle and approximately 2,700 examples were produced—mostly with Nissan diesel engines—until the final years of regular production in 1981/82. Peter Monteverdi died from cancer on July 4, 1998 in Binningen, his hometown. 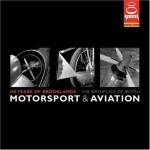 The next 60 pages are filled with plenty of information and illustrations of the various models. These include the 375S, 375L, the fabulous Hai [shark, below] 450 SS, 375C, 375/4 sedan, Palm Beach, Safari, Sierra, Sahara as well as some prototypes and design studies. 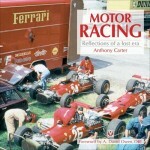 The remainder of the book deals with the era after 1980, the Monteverdi Team with racing cars in action in 1990, the Monteverdi museum and foundation, the new Hai 650 F1 of which only two cars were made, and various articles and—last but not least—an index. This fine book with its red hardcover— displaying the Monteverdi emblem, its excellent quality of binding, layout and print—contains the complete history of a small but highly respected marque created by an outstanding man with great vision and engagement. 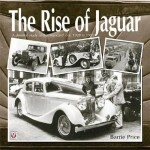 All those seriously interested in automotive history will want to put this book in their library with pleasure. Copyright 2017, Ferdinand Hediger (speedreaders.info). This review appears courtesy of the SAH Journal No. 288 where it was first published in substantially similar form.